You can’t get more classic than the Heart of Iowa Nature Trail, which winds along in a south westerly direction through beautiful farmland in the heart of Iowa. Riders will need a hybrid bike for this one, as the trail surfaces are rustic crushed limestone and a rough dirt surface.  The Heart of Iowa trail begins at a trail junction that includes the High Trestle Trail, which is a paved trail, located in Slater, Iowa. From this First Avenue trail head, riders will head out over open farmland for a few miles until reaching a permanent trail detour, which leads through 1.3 miles of city streets. Once back to the trail, a crushed stone surface begins as you skirt the southern edge of Cambridge. As riders approach Maxwell, a trail bridge will cross over Indian Creek. Don’t miss the pioneer cemetery and historical museum as you go through Maxwell. Between Collins and Rhodes, riders will cross the massive Hoy Bridge, a 212 foot long, 60 foot tall concrete arch bridge built in 1912 to accommodate a double railroad over Clear Creek. Riders on road bikes should know that the best sections for them are from Slater to Cambridge as well as two miles east of Collins to Rhodes. The trail is surfaced for 3.2 miles between Maxwell and Collins, but is currently undeveloped from Maxwell City Park on First Street for approximately one-half mile to the city limits. Though this undeveloped portion is relatively flat, it has a dirt surface. At 690th Avenue, there is a break in the trail where we recommend taking the gravel north to 310th street then heading east into Collins. Off road bike riders will enjoy the undeveloped trail between Cambridge and Maxwell, which features breathtaking scenery and some challenging trail conditions; wet and bumpy but beautiful.